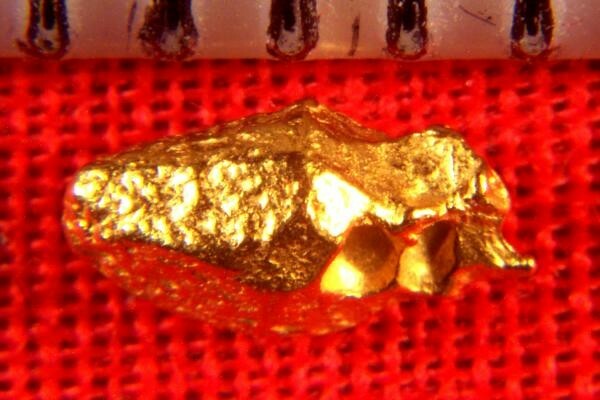 This is a very well defined gold crystal from the jungles of Venezuela in Zapata, just outside of Ikabaru, near Santa Elena de Uairen. This gold crystal has nice faceted sides with a very unique well defined geometric shape. This nugget was purchased directly from a man who buys them from the Venezuelan miners who make their living recovering these gorgeous gold crystals in the jungle. 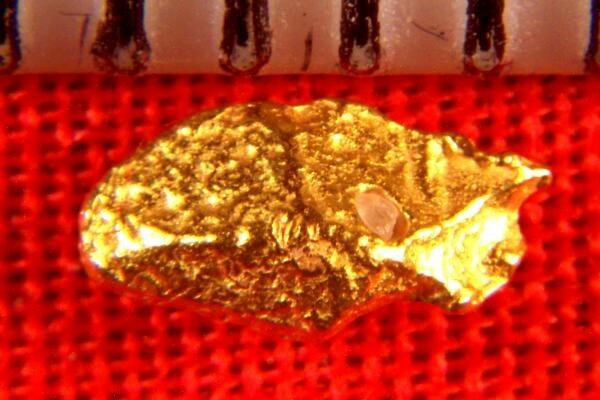 This beautiful gold specimen is over 3/16" (5 mm) long. It weighs 4.9 Grains (0.32 Gram).